This statistic shows the distribution of deaths from opioid overdose in the U.S. in 2017, by share of age group. 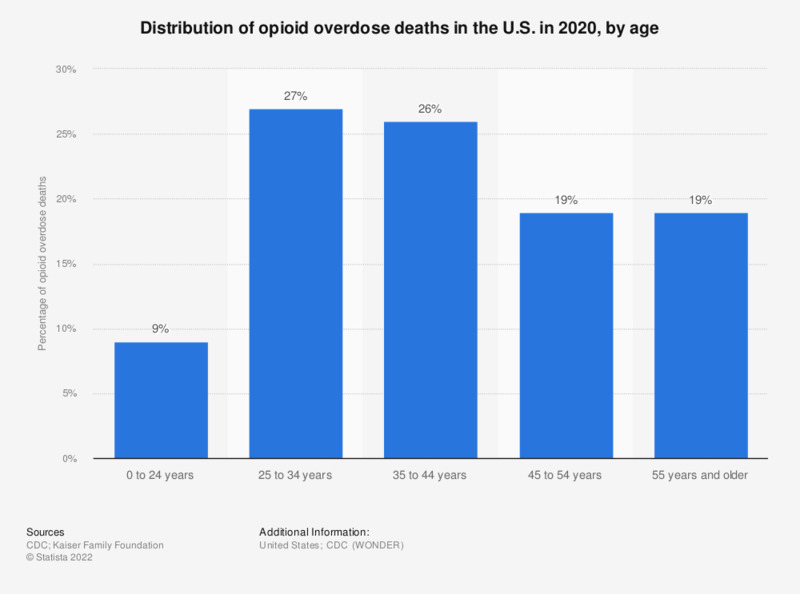 In that year, the age group between 35 and 44 years made up 23 percent of all opioid overdose deaths in the United States. Percentage points exceeding 100 percent are probably due to rounding. * Not sufficient data.